If you already pre-ordered your iPhone Xs or iPhone Xs Max and its on way towards you. Next most important thing when it comes to securing your iPhone is having a perfect screen protector. You should definitely buy one of these best screen protectors for iPhone Xs and iPhone Xs Max to protect it from scratches and rough surfaces. iPhone’s line has Super Retina display and you should definitely protect it. Apple has kept the trend of making $999 flagship and if you plan on buying iPhone Xs Max the price is far greater. So with that in mind, it is best to take care of your expensive smartphone and protect it using screen protectors. In this list, I will be listing down best options for you to go and buy the best screen protector for your iPhone Xs Max and iPhone Xs. So let’s start with number one from Spigen. It is one of the best Tempered Glass Screen Protector for iPhone X with the highest rating on several online platforms. 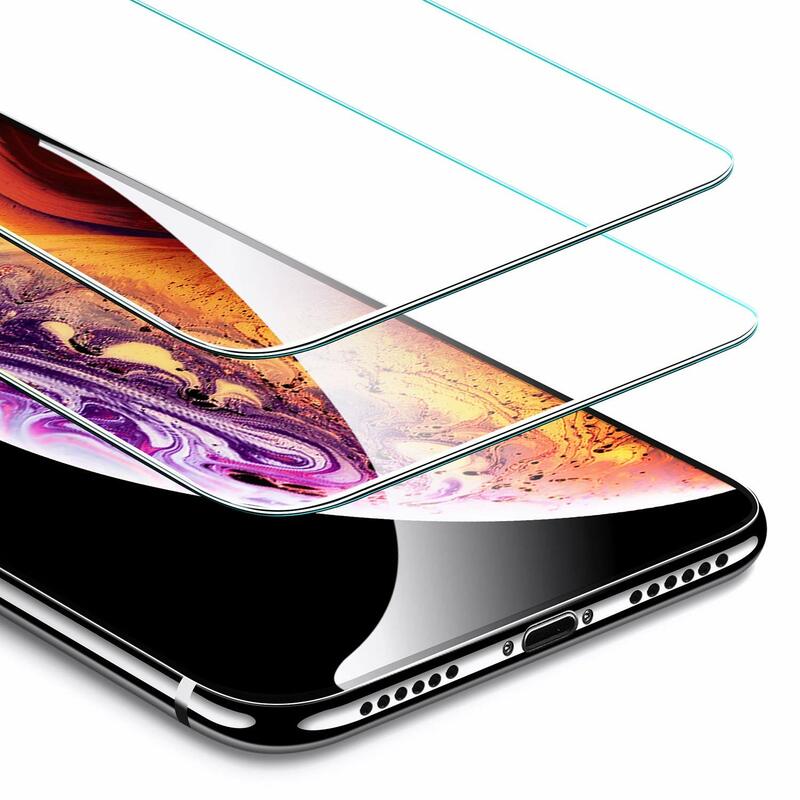 Thanks to its edge to edge design you will not notice it there the presence of this tempered glass on your iPhone Xs or iPhone Xs Max. The updated version of Spigen’s screen protector ships with alignment frame so you get a perfect application every single time. It can withstand against 22 pounds of force that seems pretty interesting Screen Protector for Apple’s next iPhone lineup. It is a great option if you don’t plan to spend too much on a screen protector for an expensive smartphone. It is cheaper but that doesn’t make it non-reliable and non-durable. Anker is a well-known name when it comes to smartphone accessories including iPhones and Android. They make some of the best iPhone screen protectors with glass guard is not an exception. If you are looking for a better option under 10 bucks this screen protector from Maxboost is a great option. It is a well-known brand name and trusted when it comes to mobile accessories. They are providing a great deal in there tempered glass screen protectors. If budget is a little too tight then you might want to consider this option from JETech. But remember one thing, JETech has been around for quite a while, therefore do not underestimate their prowess when it comes to making mobile accessories. Trianium’s tempered glass screen protector is available in 3-pack under 10 bucks. Well does it protect well? Yes, It can. Not just protection but it also ships with easy installation alignment frame and HD clarity. That’s it I hope you find your best Screen protector for your iPhone Xs and iPhone Xs Max. If you think I missed any and that should be on the list kindly comment below.